Bankers and officials have ditched a huge Saudi shindig after Turkey accused the kingdom of killing a prominent journalist – but big deal fees and oil reserves make the kingdom hard to shun. Breakingviews columnists discuss the financial ramifications of the diplomatic crisis. 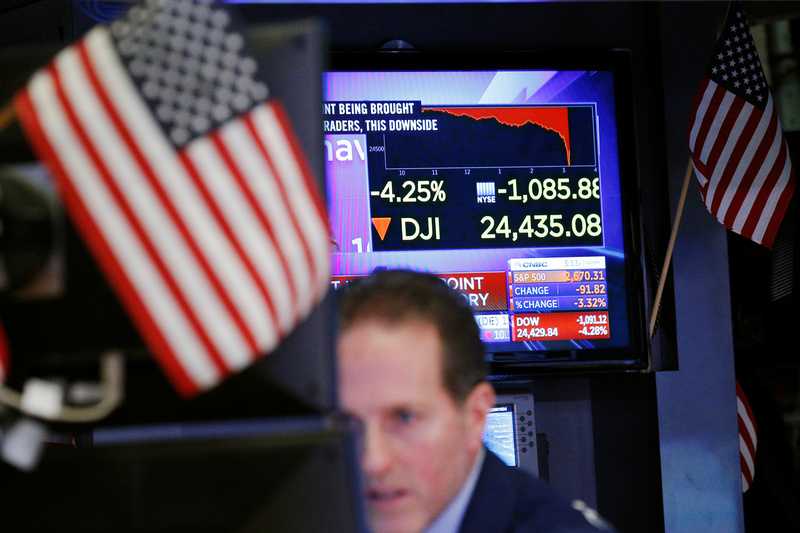 A television screen shows the days losses on the floor of the New York Stock Exchange in New York, U.S., February 5, 2018.